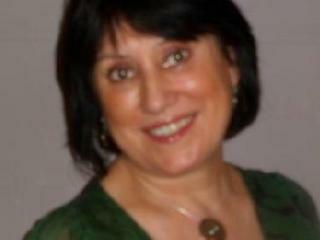 Annie is an inspirational, empathetic and caring psychic. She likes to relax her callers and if she feels they are particularly nervous she asks them to take several deep breaths, Annie tells us that her calming influence usually helps her clients to feel gently reassured before and during her readings. As well as being a kind, warm person she is also extremely down to earth. Her upbeat and positive manner helps her build a great rapport with her clients and she always aims to be sure to leave them with a smile on their face. Annie tells us that she has a vast amount of experience and has been a practising psychic for over 25 years. She has many psychic senses, giving her a very wide range of skills and is very adaptable to her client’s needs. As well as using Psychic Hearing, Seeing & Feeling, she also has the ability to look at Dream Analysis, Spiritual Healing and Psychic Development. To aid Annie in giving you the best readings, she uses a variety of tools, they include Tarot, Crystals, Runes, Pendulum and Astrology, her favourite would be the Tarot cards and she has her favourite deck that she has used for over 15 years, she uses them daily and says that that she sees something different every time she uses them. Annie tells us that she realised from the age of 7/8 years old that she had been given a special blessing. Annie feels as though the purpose of her life is to guide others by passing on messages and she feels very humble that she is able to do this in such a positive and upbeat way. As a dedicated vegetarian for 30 years, during her spare time Annie loves to experiment with lots of different recipes, variety is the spice of life! She loves live music and always supports her local bands whenever she can. Her happiest moments are always with her loved ones, Annie loves to laugh and have fun. Why not call Annie for an inspirational, positive reading today? Annie really is a breath of fresh air, and can makes you feel good about many of your life decisions, she always aims that you will really begin to see clearly again on your life path and feel so much happier about many situations you may find yourself in. Lovely lady but none of her predictions happened. unhappy. Annie was so right about my ex. She was very detailed and good at reading my situation. Annie is a very down to earth genuine reader who picks up on your situation very quickly and I definitely would speak to again ..
Get 15 minutes to speak to Annie for just £4.99 (that’s a value of £22.50! )..